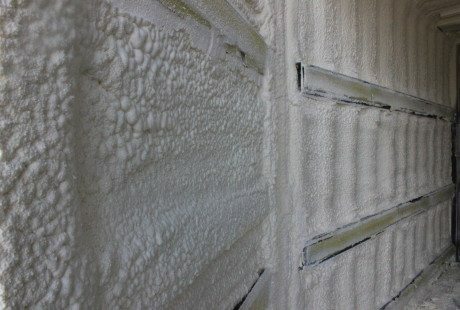 Spray foam insulation works great on a large variety of jobs. 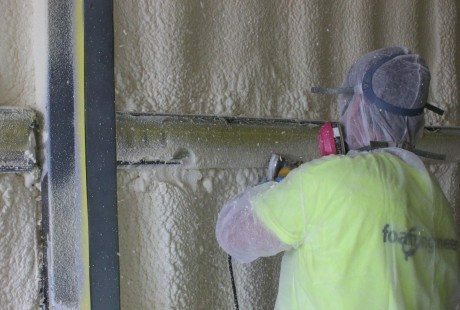 Earlier this summer, Foam Engineers was contracted to insulate a flight simulator for Craftsmen Industries in St. Charles, Missouri. Recently, we were back at Craftsmen to insulate a support space. The simulator and its partner space are likely to travel to different locations across the globe, such as the deserts of the middle east, providing training facilities for U.S. personel there. 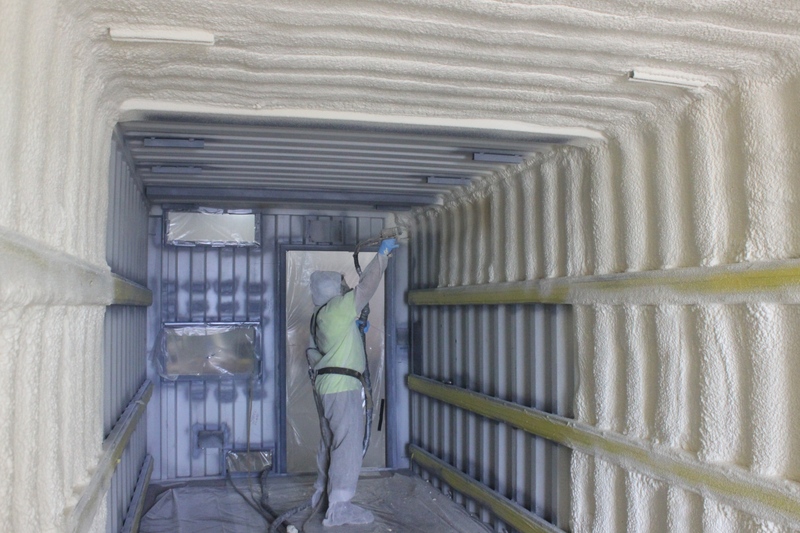 Spray foam insulation ensures the spaces will operate efficiently and offer relief from the climate. These spaces can now be air conditioned and provide stable and comfortable temperatures to learn and work in. Spaces like the container seen here are mobile and easy to transport. This container will be a support space for a flight simulator. 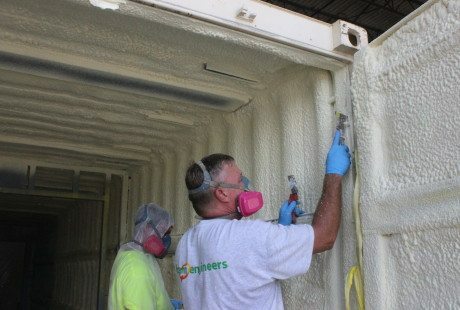 Foam Engineers applies spray foam insulation to the interior of a space at Craftsmen Industries in St. Charles, Missouri. 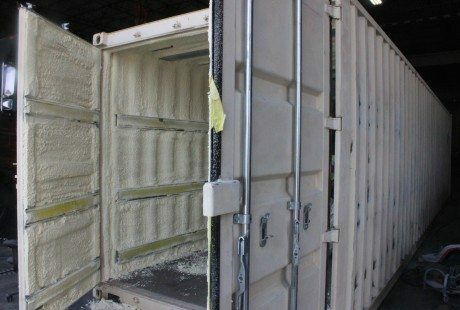 Approximately 1" of closed cell spray foam was applied to the interior of the support space. 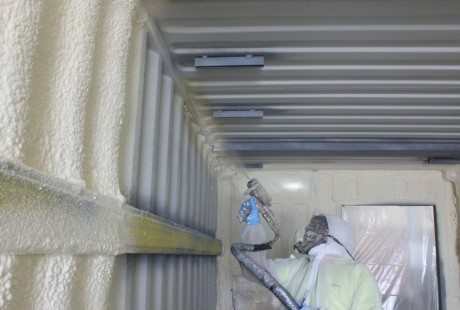 Closed cell spray foam is very dense and offers high R-values per inch of product. 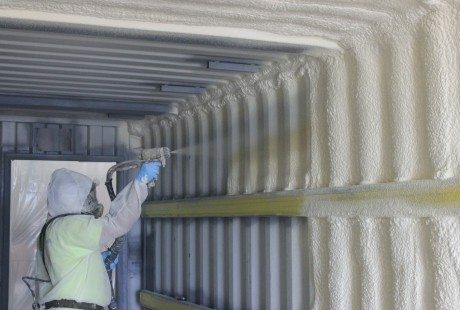 Foam Engineers cleans foam away from areas in the interior of the container that need to be exposed. The Foam Engineers team is always attentive to detail. Here, they are seen checking over their work, making sure everything is done correctly.